Sales and marketing expert, coach, mentor, trainer, TV & Radio presenter and published author – experience in growing large and small companies, significant experience both nationally and internationally. Peter has led European divisions with Fortune 10 companies as well as growing start-ups to multi-million dollar companies. With an Honours Degree in Mathematics from Trinity College, Peter has also spent 4 years as a Computer Science Lecturer. In addition to leading successful International Sales Teams, he has been in Technical and Marketing Roles as well as obtaining an Accounting Diploma. Peter is a Fellow and Council member of the ICS and the Sales Institute of Ireland, a member of The Marketing Institute of Ireland, the Software Association, the local Chamber of Commerce and the Irish Internet Association. International Sales and Marketing Management Experience. Experienced Public Speaker and Master of Ceremonies. 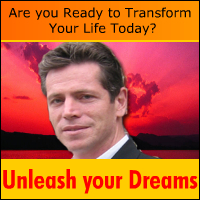 Experienced Coach in NLP, Leadership Change and Motivation. Sales Coach and Mentor in Large Corporate and Small Start-up Companies. Author of “Grow Rich in Ireland” Series. TV Presenter of “City Channel Business Index”. Radio Presenter of “Internet without Fear”. Guest author in Computerscope, Irish Computer and Running your Business. Expertise in High Technology, especially Software, Telecoms, Voice. Strong industry experience in Finance, Services, Telco and Manufacturing. 5 years in Technical and Marketing positions with Accountancy qualifications. Entrepreneurial flair proven by kick starting new business units and driving Sales and Marketing at unproven start-up companies. Proven track record of over achievement in sales when carrying a quota.